Premier Print Group has been specialising in direct mail services for the past decade and currently mails out more than three million items each year. Our complete in-house direct mail service is especially popular with our magazine customers as it provides an end-to-end solution. As an additional service, we can also cleanse your database information to remove duplicates, deal with incomplete addresses and more. 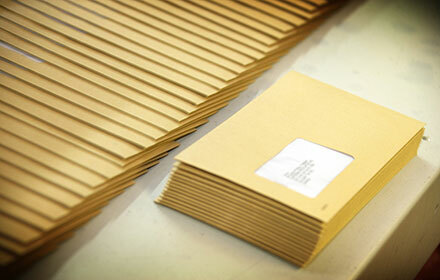 This saves you time and reduces the cost of postal returns. We can print designs and mailing information directly onto your envelopes, and inkjet names and addresses directly onto your documents, including brochures and direct mail items. Inserts such as promotional flyers are a popular sales tool within magazines and here at Premier Print Group we can print any additional flyers and insert them into your publication prior to being posted. So that’s some of what we can do, now find out why our customers choose us time after time.